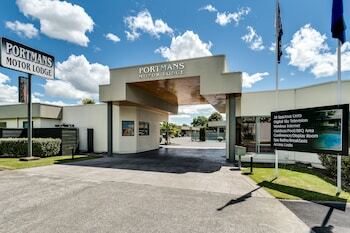 With a stay at Portmans Motor Lodge, you'll be centrally located in Hastings, within a 10-minute drive of Hawke’s Bay Fallen Soldiers’ Memorial Hospital and Hawke's Bay Opera House. Featured amenities include express check-out, complimentary newspapers in the lobby, and luggage storage. Planning an event in Hastings? This motel has 323 square feet (30 square meters) of space consisting of a conference center and a meeting room. Free self parking is available onsite.